Indigenous communities are protesting the expansion of Suriname’s international airport. The airport has obtained title to the neighbouring, indigenous land, and wants to expell most of the population of the Arawak villages Hollandse Kamp and Witsanti. 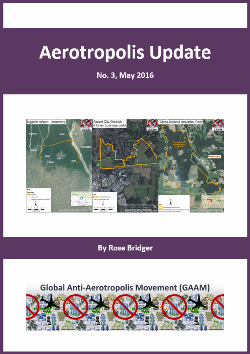 Indigenous people reject the airport’s claim that they are the trespassers. They also protest against the airport’s dumping of untreated sewage into waterways that run through the two neigbouing Arawak villages. Despite 500+ years of resistance, Indigenous people in Suriname are still not recognised as land owners. Suriname law doesn’t recognise collective land ownership at all. The state owns all land which is not individually owned. 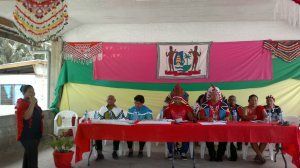 The government recently transfered ownership of the two indigenous villages to the state-owned International Airport of Suriname, without any consultation with the indigenous people who have lived there for generations. Thanks for sharing superb information. Your web-site is very cool.